Attract New Customers Through Social Ads on Facebook and Instagram. The New Way To Reach Potential Customers. Advertising on social media gives you the ability to specifically target those who might be interested in your products. Facebook gives you the ability to target your audience by age, gender, location, interests based on user interactions, and even by user behaviors. Since the average social media users spend more time online, they are more likely to view, read, and click, making ad space on Facebook and Instagram prime real estate. Remarketing Campaigns are especially successful on Social Media. Since users have already shown some interest they are more likely to click a sponsored post on Facebook or Instagram. You may highlight products they have previously viewed on your webpage, enticing them to return and complete the purchase as well as highlight new and similar products. We help reach new targeted audiences. To improve profitability our team will research and develop a comprehensive keyword and keyword phrase strategy to drive new traffic, improve click-through rates, and ultimately increase conversions. Whether prospecting for new customers or remarketing to your existing audience, we develop ads to drive traffic. Our expert team will review past performance, as well as create and test new ads for continued penetration. Long-term success requires continued optimization and analysis of keywords, creatives, and budgets. Understanding how to react to that data over time will determine performance and long-term success. Monitoring budgets and adjusting keyword bids based performance goals is key to effectively manage campaigns, increase conversions and improve profitability. To obtain the best possible results with paid search with social media, continual monitoring of various data points and reviewing analytics is required for successful campaigns. 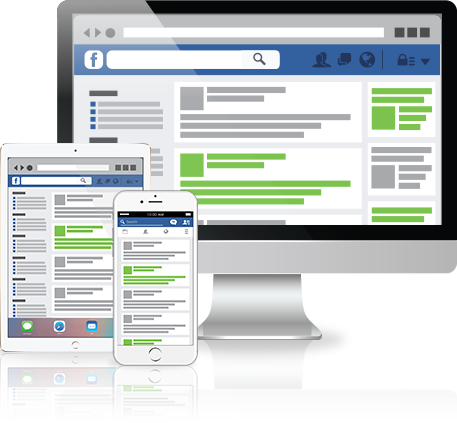 Getting the full benefit of social media requires that the paid search campaigns continue to be optimized to sustain increased traffic and reach potential customers. A clean, simple format to use with captivating imagery (photo or video) and engaging copy. These ads show up on mobile and desktop versions of Facebook on users’ newsfeeds. You can display buttons such as “Sign Up” or “Learn More” with links to your landing page. Spread your message through a photo or video on Instagram. Your canvas can either be square or landscape format. You can share videos up to 60 seconds long and add buttons such as “Shop Now” or “Visit Us” with a hyperlink to your website or landing page. 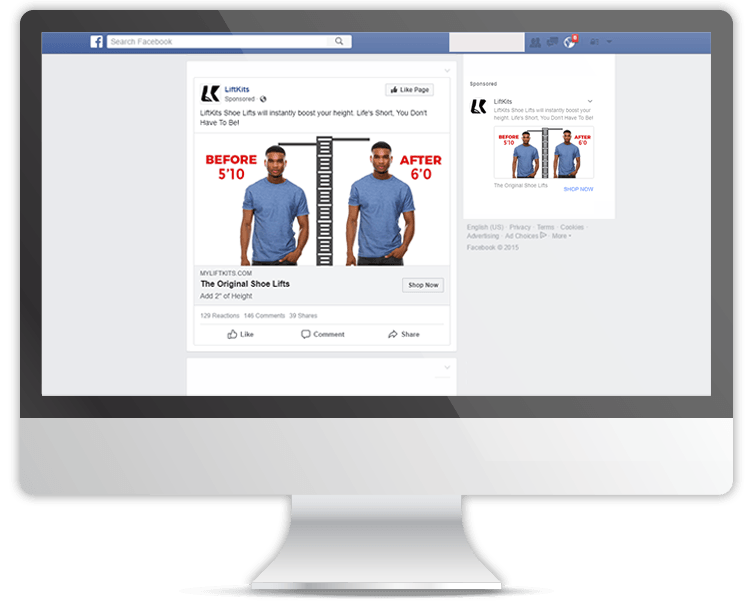 The carousel ad format on Facebook allows for 10 images or videos within a single ad, each with its own link. 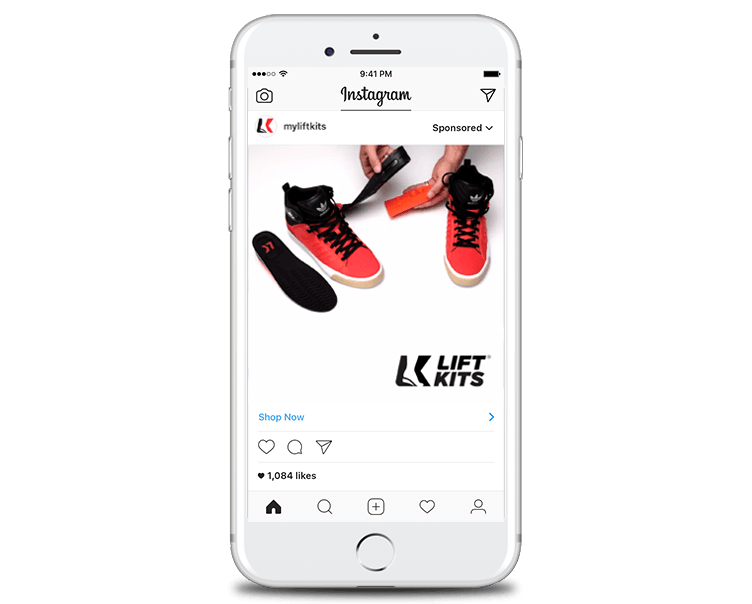 You can highlight different products, showcase specific details about one product, service or promotion, or tell a story about your brand that develops across each carousel card. These ads are desktop and mobile friendly and can be used for remarketing purposes. These sponsored ads on Instagram show up on users’ newsfeed allowing them to swipe left and view multiple products, each with their own descriptions and go to links. These ads can be used for remarketing campaigns to attract customers back to your page to complete their purchase. 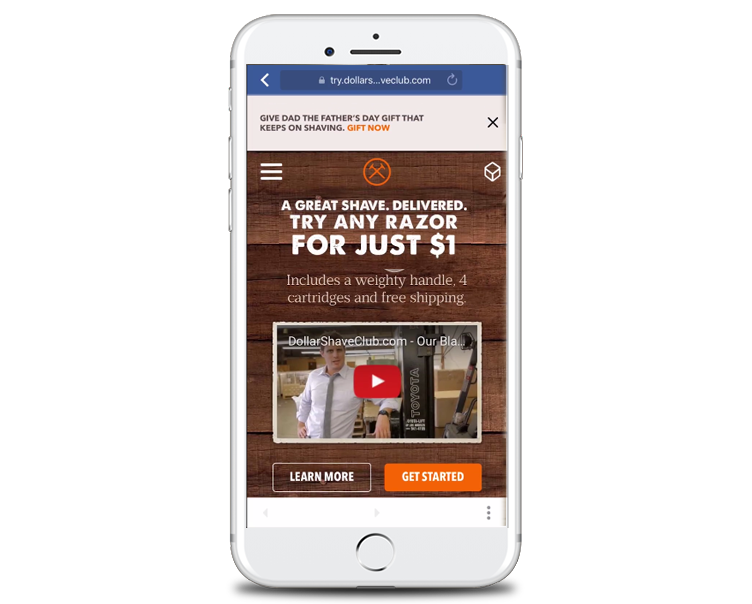 These exclusively Facebook mobile app ads allow people who tap on your ad to browse more products or learn more about the features of a specific product, in a fast-loading, full-screen experience, without leaving the Facebook app. Connect the 250 million people using Instagram stories and share your company’s message. 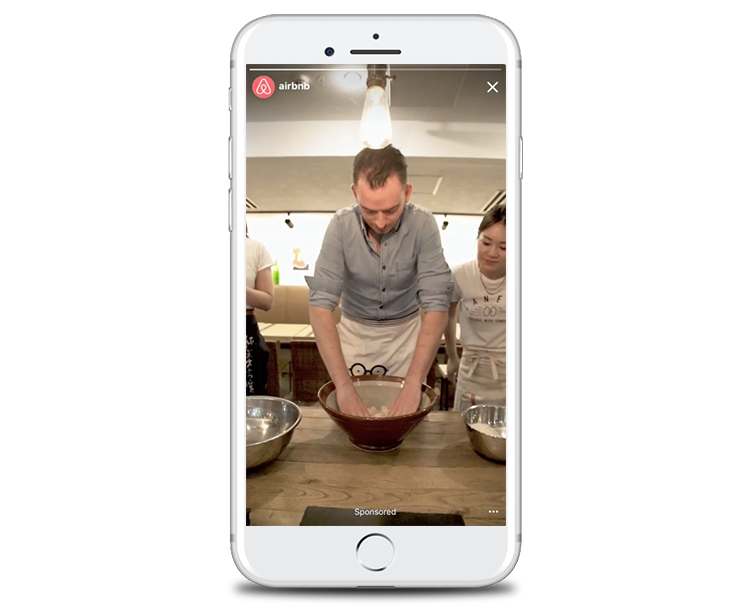 Instagram Stories allow your customers to catch a glimpse of your company’s culture using a full-screen video format tied to your Instagram account.